with our transportation problems, and God has met that need. We haven't yet purchased a van, but we will be looking very soon. Please pray with us that God would direct us in this matter! How can I help? How can I give? Gil's Hills Ministries could not survive if it were not for people like you. We depend on the support of loving churches and generous caring people. Contributions come in many forms: finances, food, craft items, volunteers, and many other ways. We would be lost without the physical help of countless friends giving of their time and abilities. Gil's HIlls rejoices over the fact that we don't have to depend on the government or other agencies to meet our needs. When the Bible says "My God shall supply all of our needs according to His riches in glory through Christ Jesus", we believe it and apply it. Whether you support us financially, donate food or craft supplies, or volunteer your time and talents, the most important thing you can do is PRAY for Gil's Hills. God will inspire you, and show you exactly what He would have you do. Summer camps are over and we had a blast! Using the theme "A Light in the Darkness", the kids learned how God desires to be in each of us, shining His light for others to see. The kids went home worn out, with many stories to tell (as did the volunteers and staff). Best of all, several of the campers made the decision to follow Jesus at camp! As school starts, so do our clubs! We are excited to host our GH kids here between the hills for another year. Each club night includes a time of games in the Ark, a craft, teaching from the Bible, and a delicious home cooked meal. We also host a number of overnighters and events throughout the year, geared to give kids a weekend adventure. See information below for all the details on the annual FUNDRAISER and DICE RUN. This year's Fundraiser will be at Believer's Chapel, Constitution Ave. in Olean, NY. Saturday, August 12, 10:00 a.m. to 4:00 p.m. Vendors, crafts, food, Chinese auction, and fun activities for kids! On the same day we will also be having our first annual "RUN FOR THE HILLS Dice run. The Extravaganza is an event for the whole family to enjoy! We have a job for everyone. Join us on May 20th for our annual work day and get the grounds ready for summer 2017! "Wow," Gil Parker, the founder of Gil's Hills often said, "as you Go, You Grow." Seems like that's Bible talk, and yes it is. For the past seven months we have really put our backs to the plow as we have sincerely sought God and His perfect will through prayer. He has opened up the heavens to new revelation in ministry and dependence on Him. As we go into the highways and byways of this area, more and more kids are coming to Gil's Hills. We need to be ready for what He has in store. We believe that it is God's will for us to be prepared to minister to all the kids He sends our way. In order to do that, we need to get serious about obtaining the tools to accommodate the numbers. At our last board meeting we decided to trust God for another van AND another cabin. Currently we can pick up 16 kids per club--at some of our clubs we could take as many as 25 kids, but because of transportation that isn't possible. For our summer camps, right now we can accommodate 24 with staff, but with another cabin we could bump that number to 32 a week. That's a good problem to have! Pray with us as we trust God for $20,000 for a van and cabin. To give by check, send your donation to Gil's Hills, 2526 Brown Rd., Wellsville, NY 14895. To donate online, go to the GIVE tab above, and choose "Capital Improvement Fund". The YAKers Overnighter is coming up soon! Bring your sleeping bag, a change of clothes, and be ready for a night of fun, games and a movie! Invite a friend to join us! 3. That the word would continue to spread that Gil's Hills is "Alive & Well". 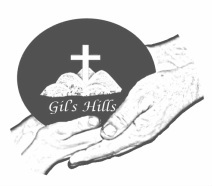 Gil's Hills is a faith based ministry. We rely on God to use people like you to support this ministry financially, and He always comes through. We could tell you story after story about how God provided just what we needed right when we needed it most. HE is GOOD! We ask that you pray for the finances of Gil's Hills. It has been a very lean time and our giving has been down from previous years, while our services to area children have been on the rise. We know we serve a God who is completely aware of our financial needs, but we also know that we serve a God who has limitless resources. So please pray that God will work big time at Gil's Hills. Your prayers are coveted and we cannot thank you enough. We ask you to give. Perhaps God wants to use you to bless and meet the financial needs of Gil's Hills. We ask that you pray for and consider giving to Gil's Hills as we close out our financial year. If you are looking for a place to give, or know someone who is considering giving their end of year proceeds to a ministry, we ask that you let them know about Gil's Hills and the work God is doing here. No amount is too little, for we know that God can do a lot with a little, and He enables us to serve our area youth even when the financial future looks uncertain and grim. So we ask you to please pray, and to please give. Your support and prayers for Gil's Hills enables us to reach children and youth with the gospel of Jesus Christ through friendship, counseling, and service, and we can't thank you enough for all you do for Gil's Hills! Join us for a night full of games, snacks, movies, and fun in the Ark. Invite your friends! Please join us! Come check out the grounds and hike one of our many trails. Grab a bite to eat and get caught up on what God has been doing between the hills! Summer may be over, but we had an amazing one here between the hills! God provided in some obvious ways, and we were able to do all four weeks of youth camp without any major problems! In previous years we have had to combine our two boys camps due to lack of volunteers, but this year God provided some great volunteers who really stepped up and showed the love of Christ to the kids who came through here this summer. This year's theme was Survivor 3: Overcome Fear/Grow in Faith. We used stories from the life of Peter to show how God can transform our lives which are often driven by fear of the world around us, to lives that shake things up for Christ. With the power of the Holy Spirit, fear has no place in our lives. We hope and pray that this summer gave our campers a lasting memory of how active God wants to be in their lives and that when we are afraid, the first place we can turn is God. . . "Lord save me!" (Matthew 14:30). This summer we had over 90 campers and volunteers participate in our camp weeks, not including the people who came up to help serve meals and the many people who volunteered in other ways throughout the summer. We cannot thank our volunteers enough for their sacrifice and service. Earlier in the year we had many people donate food and supplies that we used throughout the summer. The food donations were appreciated every day by the campers and volunteers. Thank you for loving this ministry! Overall, this summer was a huge success. The kids and volunteers had fun, everyone was safe, and most importantly the Gospel was clearly communicated to all who came through here. 7. Staff / volunteer "good health"
8. That God would place a "hedge of protection" over us this camping season. Saturday, May 21, 9:00 a.m. There's lots of work to be done! *take apart "ole cabin #5"
Coffee & muffins in the morning. Hot dogs served at noon. Saturday, May 21, starting at 9:00a.m. YOU CAN PRAY for Gil's Hills! 1. Finances--keep the general weekly budget in your prayers as we seek to be good stewards of the resources God has given us. 2. The GH kids--that they would grow in Christ. 3. The Boys Winter Overnighter--pray for safety & changed hearts. 4. Transportation Needs--we have lots of kids coming and limited van space. We have had to get creative to legally transport all the kids back & forth to clubs. GIRLS WINTER BLAST, February 12 & 13. Sledding, tubing and games all night in the Ark! Our Boys and Girls Clubs meet on Tuesday and Thursday nights throughout the school year. From 4:00p.m. to 6:30p.m. the kids have a fun time of games in the Ark or a hike in the woods, a time of singing and Bible study, a delicious homemade meal served up by Miss Linda, and a lot of group activities. The fall Boys Overnighter is planned for November 13 & 14. Stay tuned for more updates on our Facebook and Twitter pages. We want you to know that, from the bottom of our hearts, we give our supporters a sincere THANK YOU for all that you've done, past and present, to support Gil's Hills. At times our financial condition has looked very bleak, but things are looking better and though we still need a financial miracle to get us through the year, we see how God continues to show Himself. We just had a chicken B-B-Q, and we were hoping to make around $500.00. Well, God showed up and we were able to deposit enough to makeup two weeks back pay! What a great summer we have enjoyed up here between the hills! Our summer camps have come and gone and we have been so blessed by the volunteers, donations, and prayers we have received. For those of you who donated your time and energy to come up and help with these summer retreats, we can't thank you enough. From those who helped in the kitchen, the general helpers, and the counselors and co-counselors, because of you we were not lacking in any help that we needed, and because of that we can praise the Lord! Every summer we rely on God to provide our needs in many ways, and He provided for us more than we needed, and sometimes before we even asked. Thank you to everyone who donated food and supplies to Gil's Hills, we were truly blessed by your service! The summer's theme was "Shake", and we focused on stories throughout the Bible and in our own lives where God has shown us something about Himself and how He can shake up our lives for His glory. We know God used the time we were given to pour into the young lives who joined us for camps this summer. If you know anyone who joined us for a week, ask them what they learned here and what their favorite part of camp at Gil's Hills was. We had such an awesome group of campers and volunteers for our girls' weeks. A special thanks to Vanessa, Charanna, Chrissy, and Kylee. We couldn't have done it without you! And our General Helpers, Reanna & Taylor, thanks so much! Our boys' camp weeks were exhausting, but so rewarding! A special thanks to Morgan, Jeremy, Brian, Carter, and David for all your hard work between the hills! Come, and take a look around the camp. Saturday, May 16th, starting at 9:00 a.m.
We have a full day of cleanup ahead of us. If you are able to help in any of the following ways, we need you! Camp Cleanup: sweep cabins, pick up fallen trees & branches, weed-whack tall grass, dig out the fire pit, spruce up the galley, stain cabin #1, install sofitt on cabin #1.
fix the dropped ceiling in the bathroom, replace fascia & gutters on the back of the lodge, dig a diversion ditch by the driveway. The Ark: wash camp mattresses, fix toilets, wash windows, landscaping projects. Plus, there is always wood to be split & stacked, and lawns to be raked. to change the location to the First Baptist Church of Olean. Located right downtown, this is an ideal location. Remember to mark your calendars and invite your friends! Join us for a quilt & craft show, live music, a snowball fight (??? ), and more! Enjoy a great meal & hear about the exciting things God is doing between the hills! An $8.00 donation is requested, and can be given at the dinner. Help get the camp ready for our summer retreats! With January and February being two of the leanest months, pertaining to financial giving, let me encourage you to pray earnestly for our financial needs to be met. We do not have a reserve, and not meeting expenses would hurt in many ways. Wellsville Bible Church recently raised enough money to send some of the King's kids to the movie "A Matter of Faith" showng in Wellsville from January 30 through February 12. Thank you for your support of the ministries of Gil's Hills! One of the most often asked questions that we get is "How can I help?" Gil's Hills Ministries could not survive if is were not for people like you. Being a "Para" church ministry we solely depend on the generosity of loving, caring people and churches. Contributions come in the form of finances, food, craft items, and of course volunteerism. Gil's Hills rejoices in the fact that we don't have to depend on the government or other agencies to meet our needs. When the Bible says, "My God shall supply all of our needs according to His riches in golry through Christ Jesus" (Philippians 4:19) we believe it. How can you help? Click here to see the items on our current wish list. However, the most important thing you can do is pray for Gil's Hills. God will inspire you and show you exactly what He would have you do for His kids between the hills at Gil's Hills. On the financial end, we do need to hear from you soon. As 2014 comes to an end and we look ahead to 2015, please make a special effort to help Gil's Hills Ministries reach the children and youth in Allegany County, NY by providing friendship, counseling and service. Your gift will be greatly appreciated. Thank you and God Bless. and the summer retreat area. Meat the Board and staff. Enjoy some refreshments and a hayride. The summer retreats have come and gone, and we have a lot to be thankful for! We had over 40 kids here between the hills for our summer retreats, and with the help of 11 dedicated volunteers, we have left a lasting impact on the kids for our Lord and Savior. Thanks for all your prayer and support through these last few months! The new cabin--ready for 2014 summer retreats! A special thanks to everyone who pitched in and helped with this cabin project. It is a great addition to Gil's Hills and has already been used for our first Girls Summer Retreat. We have seen God provide in many ways through this project, and many of those ways have been through you. Thanks for all the ways you support Gil's Hills Ministries! QUILT SHOW: We are still accepting quilts to be on display. BOUNCE HOUSES: We will have supervised bounce houses for the children. Only $1.00 to bounce for as long as you want! CRAFT BOOTHS: All kinds of craft booths will be available to browse and explore. We still have some available booth space. If you are a vendor who would like more information, contact Julie Kerls via phone at 585-968-0002. CHINESE AUCTION: There will be lots of gift baskets to be given away. Buy a few tickets, and maybe you'll be one of the lucky winners! LIVE MUSIC: Come and enjoy some live music provided by Olean First Baptist and Brody Childs. FOOD: Check out the booths and stay for lunch! We will have hot dogs, meatball subs, and for dessert, try some of our strawberry shortcake. LOCKS FOR LINDA: Who will take pity on LInda to save her husband's hair? If Linda can raise more money than her husband, she won't have to look at his bald head--especially before they go on vacation! Will Ken go bald? Will Linda save her husband's hair? Find out at 3:30 p.m. when we have the final Bald for Bucks count. HILLBILLY GOLF: Play Hillbilly Golf for a chance to win a gift certificate to spend at any vendor of your choice. Getting ready for our summer retreats has been a struggle so far, and we need help in getting the grounds ready (rakes, weed whackers, push mowers, etc.). If you or your church would like to come up for a day, please call us soon. Thanks. THANK YOU so much for your help in our camp improvement project. The new cabin will be ready for our retreats this summer, and we've been able to make other improvements as well. A BIG PRAISE, as God has provided all of the funds necessary for the new outside gasification boiler. Thank you for all the prayers and support that were poured into this project. This will be a big help to us next winter. Please continue to pray for all the planning and preparing that goes on prior to our summer retreats and also for the kids and staff. Your prayers for the finances would be greatly appreciated as well. Hi! Brody here. It was great meeting and getting to know some of you at the last few clubs we had here at Gil's Hills. It would seem that summer is here to stay for a while, and I hope to get to know you even more at our summer retreats. We have some exciting things planned for you this summer. Both new games and old, you are sure to have a good time with us at Gil's Hills. This year's theme is "Extreme Makeover", where we will be delving into Colossians Chapter 3, and other scriptures that show us how Christ transforms us and makes us more like Him. It should be lots of fun, and girls, remember to bring your makeup. I am excited to see what God will do at Gil's Hills this summer as I hope you are too. Hope to see you soon! Greetings from all of us between the hills at Gil's Hills! Whew! There is so much happening here at Gil's Hills it wears me out just thinking about it. I thought about writing one of my typical little devotions for you, but you know what? We are standing in the need of prayer so I'd like to list some prayer requests for you and ask that you pray diligently and without ceasing. 1. The load is big at Gil's Hills with our numbers increasing and the need for full-time help is upon us. Please pray that God will supply His person or as Rich says, "GPS" (God's Person for Service), and for the finances to supply that need. 2. Please pray for the cabin project to be complete, inside and out, by the start of our summer camps. 3. Please pray for our D.A.S.H. clubs which meet on Tuesdays and Thursdays. 4. Please pray for our Evening With Gil's Hills. 6. Please pray for our camps this summer. The theme is going to be "X-treme Makeover". A wish list will be in our May newsletter. 7. Our woodstove needs to be replaced. Please pray for this need. If you have any questions give us a call. We are going to have our 3rd annual all-day event, featuring a quilt show & contest, various vendors, a play area for kids, Chinese Auction, etc. After taking a stroll around the property, wow, there's lots to be done! It's mostly cutting up fallen trees, picking up branches, week whacking and such; but we also have some inside cleaning, electrical and technical stuff, too, along with putting drop ceilings in the bathrooms and office. Please make plans to attend. YOUTH GROUPS welcome! Tube Steaks will be served at noon. God is good -- all the time! February 2013: Income was $3,659.00 and Expenses were $7,249.00. February 2014: Income was $9,275.00 and Expenses were $7.983.00. Praise the Lord! Thank you so much for praying! God is good -- all the time! Please join us for the celebration of Ken & Linda Jordan's 25th anniversary at Gil's HIlls. Hear more about the ministry at Gil's Hills and their journey for the past quarter of a century. Time: 4:30 p.m. to 6:30 p.m.
A $7.00 donation is requested. Please call for reservations, 585-593-6211. Looking ahead to an exciting year in 2014! Looking ahead for this year, we have several things planned to help improve ministry for the King's Kids. First, we are continuing to put together our D.A.S.H. Clubs on Tuesdays and Thursdays. It's vitally important for everyone to Develop A Strong History, and with Christ all things are possible. Our kids are maintaining a scrapbook in the craft room which helps them keep track of the things we do at Gil's Hills as well as memorizing Scripture. We are told that we should hide God's Word in our heart so that we might not sin against Him. Learning and memorizing Bible verses is a good way to help. We also have games and fun during these meetings, as well as a good home-cooked meal. Sat., April 26 - our annual Evening with Gil's Hills. May (date to be announced) - annual Workday. The BIGGIE that's coming up is our effort to continue to raise funds for two cabins. These cabins will be setup for winter use as well as summer. We need to raise around $7,000.00 in additional funds to complete this project. There is a $2,500.00 matching fund set up by an individual desiring to see this project finished in time for summer camp. You can help by sending a gift and writing "Matching fund" on your check. The labor for these cabins to be built is $0.00 (ZERO!). Yeah! PTL! Thank you so much for your love & support! To me, the response was tremendous; so because of that, Gil's Hills will now be having D.A.S.H. meetings on Tuesdays and Thursdays. Think of it this way, have you ever been walking through a cemetery and looked at the dates on a gravestone and wondered what that person was like and what do those that know that person remember them for? I know I have, but really in conjunction with this theme I think of Gil Parker. His stone reads June 9, 1909 -- May 11, 1994. Believe me, there is no way I could share the impact that man had on so many lives. He will always be remembered for his gift of giving to thousands of kids. My personal goal is to continue instructing our kids using God's Word and showing them the importance of living out His will for their lives. We have noticed, especially this past year, that changes need to be made to reach kids in their world. Some of these changes will be physical things such as equipment, furniture, and training aids. Another big change would be to have a full-time Assistant Director or Ministry Coordinator. Anyway we look at it, the bottom line is knowing and pursuing God's will for this ministry. Gil's Hills Ministries will c ontinue to walk by faith and not by sight to His glory! Thank you so much for you love and support, and don't forget, God Loves You and We Do Too! Thank you so much for your part in keeping Gil's Hills on the go. Since my last letter that negative gap has been closed to $2,259.43. Your faithful generosity is greatly appreciated! It's when things go wrong that you must not quit. The summer, so far, has been quite eventful. Our summer program has gone very well. With one more week to go I can't wait to see what God is going to do. I'll wait until our September newsletter to report on camp. For those of you keeping up with Gil's Hills over the years, you have seen God perform so many miracles. Miracles ranging from things pertaining to the buildings and grounds, vehicles, food and other supplies, spiritual and physical healings and of course, finances. God has brought us to the point where we are convinced that depending on Him is the only way to go. that is why we are no longer receiving any state, federal or local grants. In that dependence and commitment to Him, He has raised up faithful supporters like you. He has given you the vision and commitment to help keep things going according to His plan. For over two months now, I have been waiting to see what God was going to do in the financial area of His ministry. Several of my prayer partners have suggested that we need to tell the people and the churches how Gil's Hills is doing financially, because they are the ones He is using to keep the ministry going. I am convinced that now is the time to share the financial picture. According to the opening line in the poem "Don't Quit", sometimes things do go wrong. The finances have not been coming in as anticipated. One reason for that is Gil's Hills has been receiving a large gift for years from a certain foundation and it appears as though we will not be receiving that gift this year. It was part of our anticipated income when we set up the budget. We need a mracle -- NOW. Needless to say, there is nothing left. When I was diagnosed with ALS, I refused to quit. Financial security is nice, I guess, but being wrapped in my Father's arms is much better. "It's when things go wrong that you must not quit." My God shall supply all of your needs according to His riches in glory in Christ Jesus. Thanks so much for the love and support you have shown to the King's Kids. As the weather gets better, it's so good to get outside and enjoy the warmth, fresh air and the beginning of new life. New life in Christ is even more exciting! According to our first quarter statistics, we can see that God is up to something good! Ministry has been great, volunteers have come to the rescue, and the blessings from heaven are a marvel. We could just stand still and say, "Look at what we have done! ", but NO, it's "Look at what God has done and is doing!" to help take things down. More vendors are also needed. on how you can help. The dates for our summer retreats have been scheduled, and volunteers are always needed. and ready to go by July 8th. June 29th, Gil's Hills Annual Fundraiser--the clock is ticking! If you, your church, or civic organization would like to help raise funds for Gil's Hills Ministries either as a vendor or quilter, please call Julie Kerls at 585-968-0002, soon! February was a lean month for the Gil's Hills finances (ending with a deficit of $3573.13). A special love offering at this time would be greatly appreciated. Thank you so much for praying. Giving Opportunity: Gil's Hills needs a portable, battery operated sound system. Cost (new) is approximately $700.00. Call for details. our CB Clubs. Call for details. 1. Salvation for the lost. 2. Kids making a decision for Christ. 3. All of our programs. 6. Good health for our staff and volunteers. 7. Upkeep on the buildings and grounds. 9. Our board of directors, as they make many important decisions throughout the year. The wish list for right now is a short one. Our indoor recreation equipment has been used to the max. We need to replace several items and purchase some new games as well. Food donations or gift certificates would help cut expenses. One supporting church furnishes meals for a month. Pherhaps this in something your church, missions group or organization would like to do. just seemed to blow by us so fast. Before I report on the camps though, let me say that the fundraiser we had on June 30th was quite an experience. It was much more than I expected, as we had vendors from all over the area participating in raising funds for Gil’s Hills. The amount raised was very good, but what excited me most was the fact that we were promoting the ministry. So many folks, although being from this area, had never heard about Gil’s Hills. A BIG thank you goes out to everyone that helped make that day a huge success. no major problems. The kids learned about how they could survive with Jesus, Others and You, which, of course, means surviving with a personal relationship with Christ. Greetings from all of us between the hills at Gil’s Hills! 10 am to 4pm that will be held at the Obi Community Church on Route 305 between Portville and Cuba New York. If you don’t have a GPS, just follow your nose...and eventually you’ll smell the delicious chicken barbeque wafting down the road! Tickets are already on sale for $7.50 and can be obtained by calling Gil’s Hills at 593-6211 or Julie Kerls at 585-968-0002. There will be various booths outdoors where you will find our friends displaying their multiple arts, crafts, hobbies, interests, etc. Each of these booths are supporting the Gil’s Hills Ministries benefit. We still have room to include your booth! Do you know what your God given abilities or gifts are? Would you like to put them in action? If so, please call Julie to hear the fair and reasonable details of how you can get involved. A couple of examples of some of the booths are listed in the next column. Help Spread The Word--One of our booths is a baked goods table. We don’t have a list of what she will be bringing, but she has been specifically requested to bring her yummy sticky buns! Whatever she brings should certainly cover your dessert cravings. There will be a nail art booth manned by two high school girls, donating all their proceeds to Gil’s Hills. They work solely on donations year round. During the prom seasons, they are fully booked with a waiting line. They have quite an assortment of designs available. So come and get your nails done at a great price for great cause! Also, we will be having a professional Face Painter waiting to give you a personal “make-over.” You’ll be able to get just a small painting done or the full face. This isn’t just for kids! Come on, adults…..JOIN IN THE FUN! Speaking of fun—there will be a kids play area (ages: toddler to pre-teen). For a very nominal fee, you may leave your children in a supervised area to play on the swings or in the bounce houses. Help Spread The Word--That gives you the opportunity to browse around our Chinese Auction tables. We welcome any baskets/items that you wish to donate to the Auction. Again, if you are interested in donating to this event, please call Gil’s Hills Ministries (Ken) or call Julie Kerls to make arrangements to pick up your donation prior to the event. Inside the church, you will find our sanctuary transformed into a QUILT Show! Guests will be given the opportunity to vote on favorites and chances to enter a raffle for a quilted wall hanging. Do you have a quilt you’d like to display? We’d love to include you in our show and we promise to take good care of your project. For this one contact Julie. We will also have quilt shops for you to browse through as well. Please Help Spread The Word, grab some money, tell your friends and join us on June 30th for a great day of family fun. Every penny you spend will be going to help the King’s Kids between the hills at Gil’s Hills! with bounce houses and face painting, and much more. We welcome volunteers to work that day and/or donate to the bake sale or Chinese auction. Pre-sale BBQ tickets are on sale now. This is more than just a fund raiser, it's an event for your entire family to enjoy! For more information, or to order BBQ tickets, call Gil's Hills or send us an email. Click here for a map to Obi Community Church. “How do you keep up with the times at Gil’s Hills?” It’s a very good question coming from him because he was around 23 years ago when I first started. That was when everything was about camping and doing things in “the great outdoors”. Well, if I had my way things would be the same as 23 years ago, but I have to be realistic and adjust with the times. A feat that is not easy for me. When I go on a missions trip to Jamaica the motto for the team is “BE FLEXIBLE”. At Gil’s Hills the same applies. I have to admit it’s tough learning new techniques as well as keeping up with technology. I been have reminded several times that the gospel will never change but the methods in presenting the gospel do. God loves you and we do too! I have alway enjoyed making crafts. It must have started when my mom led Girl Scouts years ago. With weekly dues of 10 cents to buy supplies along with household and nature items, we made some wonderful creations. Empty Clorox bottles became piggy banks or washroom totes. Egg cartons were fashioned into Christmas trees, and dried milkweed pods became Angel's wings when painted gold. Kids still love to make crafts and we are still doing some of the oldies. Because of your love and support of Gil's Hills, we have been bountifully blessed by your craft donations. Recently, 15 boxes of brand new craft supplies were donated. This one donation will keep us going for months! Thank you so much! Here are a few examples of what we've made, past and present: heart sachets, painted ceramics, yarn octopi, Christmas wreaths (2 were taken to the Nursing Home when the kids sang Christmas carols there), laced hearts, tulle wreaths, banners, and salvation stars. I would imagine that over the last 15 years, we have made over 150 different crafts. We provided 606 services in the craft room this past year. It has been a real blessing to us and the kids we serve. Thanks again for blessing God's heart through your gifts.